Reinforced support under the heaviest part of the body, for more support where it’s needed most. The 1,000-Response Pro HD ZONED Coil System delivers supportive Posturepedic™ supportive technology adjusting to your every curve for maximum support and comfort. The Performance Z9 Copper II Firm Twin Firm Performance Hybrid Mattress and 5" Low Profile StableSupport Foundation by Sealy at Hudson's Furniture in the Tampa, St Petersburg, Orlando, Ormond Beach & Sarasota Florida area. Product availability may vary. Contact us for the most current availability on this product. 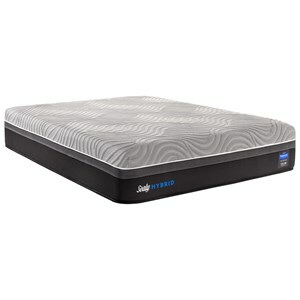 SSLPFndtn-T Twin Low Profile Base 5" Height 1 5"
Sealy Performance Hybrid Collection combines Pocketed Coils with Memory Foam giving you the best features of an innerspring mattress with those of a Specialty Foam mattress. Personalized adjustment from individually wrapped coils, with a Zoned Center Third, supports your every contour with additional support where needed most. 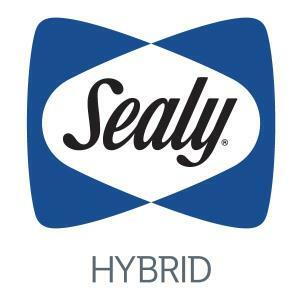 New Sealy Chill™ Advanced Slow Response Memory Foam, provides additional support and pressure relief, allowing you to get a cooler, deep, undisturbed sleep. The Performance Z9 Copper II Firm collection is a great option if you are looking for Mattresses in the Tampa, St Petersburg, Orlando, Ormond Beach & Sarasota Florida area. Browse other items in the Performance Z9 Copper II Firm collection from Hudson's Furniture in the Tampa, St Petersburg, Orlando, Ormond Beach & Sarasota Florida area.